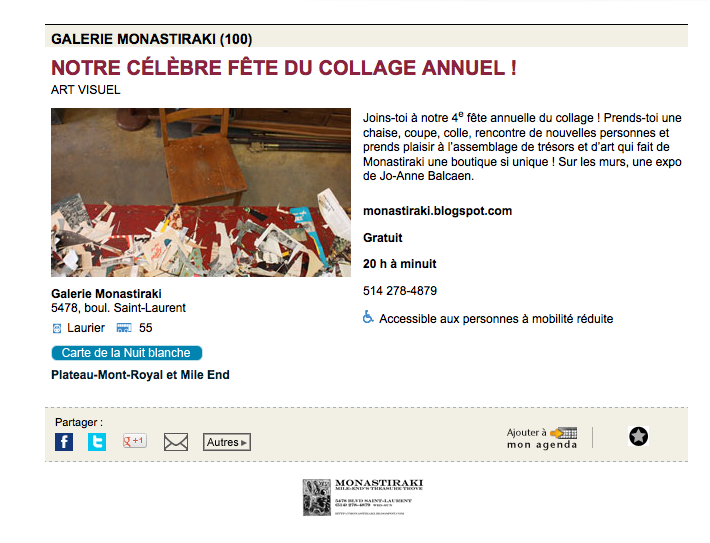 NUIT BLANCHE COLLAGE PARTY !! NUIT BLANCHE CHEZ NOUS !! 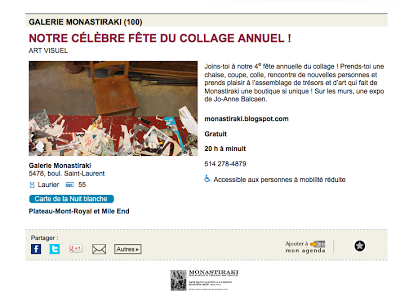 come and cut up our amazing vintage magazines (don't worry, we only sacrifice the damaged ones) ! The first series of items include elements from the scrap box, where two bits only cost a dollar. The thread, if you’re looking for one: old meanings are neglected in hopes of constructing newer, increasingly foolish ones. New to Montreal, hailing from Montana, fresh out of Oregon. Currently interested in situating found objects in contexts that render them absurd, pathetic, or ridiculous. Has been interested in the future (but now it’s stupid) and Antillean Giant Rice Rats (but now they’re extinct).